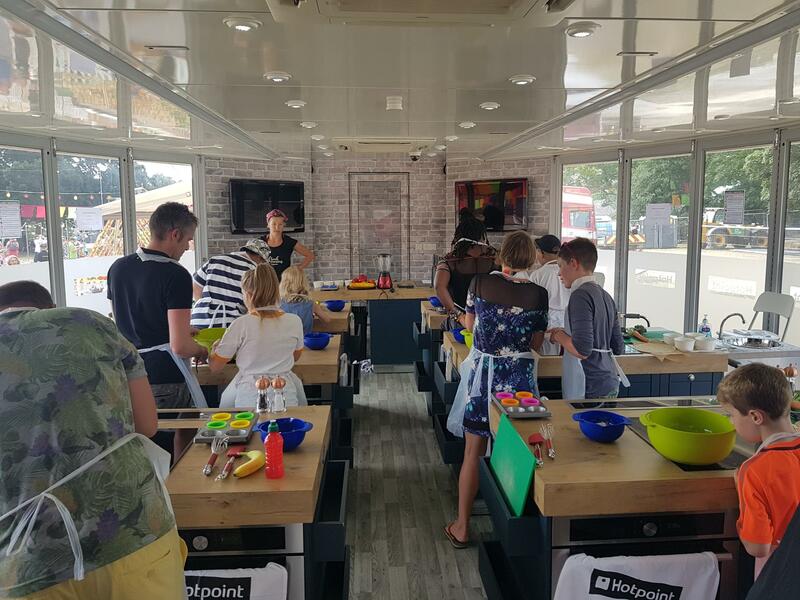 To help promote their Fresh Thinking campaign, Hotpoint and experiential agency, XYZ, are taking their Fresh Thinking Mobile Kitchen on the road for a tour across the UK to inspire and teach people handy tips and recipes to help prevent food waste. Teaming up with Jamie Oliver, Hotpoint are challenging the nation to think differently about the Forgotten Food within their homes and are asking them to submit their own Forgotten Food recipe to Hotpoint to be in with a chance to win a place at the launch of the Fresh Thinking Pop Up Café in October. Winning recipes will also make up the tasting menu when the café is opened to the public. XYZ worked to deliver the Hotpoint Cookery Schools at Camp Bestival that kicked off the start of the Fresh Thinking Roadshow. At the event, parents & guardians were able to book themselves and their child to take part in Food Waste Cooking lessons. Each cooking lesson consisted of the key campaign messaging on the Top 10 Most Wasted foods & the call to action were re-laid to the participants. They were then taught how to make banana, apple and couchette muffins & a flat bread pizza using pickled broccoli steams as one of the toppings, they got to take away these dishes to share with their friends and family who didn’t attend. Read the article on IPM here.